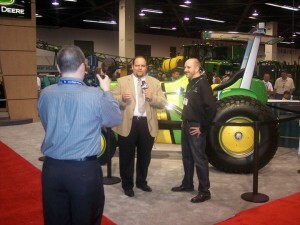 Andy is a recognized and trusted voice in agriculture. He began his career in journalism during his undergraduate years at Ohio State, becoming one of the youngest farm broadcasters in the country when he was named Farm Director at WRFD-AM. Andy was part of the team that launched the Buckeye Ag Radio Network, and was lead anchor at ABN Radio for several years prior to joining the livestock industry journal Feedstuffs in 2010. After nearly a decade “on the air,” Andy made the transition to print media when he joined the staff of the nation’s leading weekly agribusiness journal as a contributor and blogger. Today, in addition to writing, broadcasting and speaking, Andy designs multi-platform campaigns for advertisers reaching an agricultural audience via Feedstuffs, National Hog Farmer, and BEEF Magazine. Andy earned a Master of Science degree in Agricultural Economics at Purdue University, and a Master of Business Administration from the prestigious Kelley School of Business at Indiana University. Andy has served the food and agricultural industry in many capacities, beginning with his term as an Ohio FFA Association state officer as a young adult. Since then, he has served on the boards of directors for the National AgriMarketing Association, the Ohio Cattlemen’s Association and the Ohio FFA Foundation. In addition to earning the Horizon Award from the National Association of Farm Broadcasting, he was named the 2010 Excellence in Agriculture honoree by the Ohio Farm Bureau Federation, was recognized as one of 10 national finalists for that award by the American Farm Bureau Federation, and was awarded the Honorary State FFA Degree by the Ohio FFA Association in 2018. A graduate of The Ohio State University, Andy is an avid Buckeye fan. Along with his blog posts on food, agriculture, and consumer issue perspectives, he also enjoys writing about Ohio State football, the university, and most Buckeye-related topics. In 2017 he joined the staff of Eleven Warriors as wrestling beat writer; you can find him matside at Buckeye wrestling meets and at the annual NCAA Tournament. 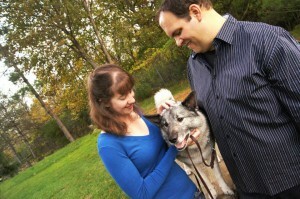 Andy lives outside Columbus, Ohio, with his wife and daughter and their two Norwegian Elkhounds. His suburban digs are a change from the family farm where he spent his childhood, but the change of scenery has provided him with an incredible depth of understanding on the varied and constantly-varying perspectives of consumers. A bit of a “foodie,” Andy keeps one eye on the current trends in food marketing and the culinary landscape.